Ehlers Estate: This winery doesn’t just donate a portion of its profits to charity, it is actually part of a non-profit, the Leducq Foundation. Jean and Sylviane Leducq created the foundation in 1996 to support international cardiovascular research. They also built Ehlers Estate, which was owned by Bernard Ehlers in the 1880s, from a 10-acre vineyard into a 42-acre estate. When Jean passed away in 2002, he left the winery to the foundation. So 100% of the proceeds from the sale of Ehlers Estate wines go directly to cardiovascular research. I highly recommend Ehlers Estate’s Sauvignon Blanc, Cabernet Franc and Merlot. But my personal favorite is a Bordeaux-style Cabernet blend called One Twenty Over Eighty, which is fittingly named for the ideal blood pressure. 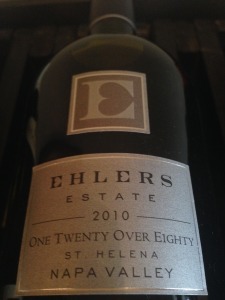 Ehlers Estate’s flagship wine, 1886 Cabernet Sauvignon, is an age-worthy and sophisticated wine. Iron Horse: If you’re not familiar with this sparkling wine producer, you need to be. Located in Sonoma County’s Green Valley, just 13 miles from the Pacific Ocean, Iron Horse produces some of California’s best sparkling wine. This family-owned winery is named after a railroad stop that crossed the property in the 1890s. And its sparkling wines have been served at the White House for five consecutive presidential administrations, beginning with the historic Reagan-Gorbachev Summit meetings that ended the Cold War. 10SPAN: 10SPAN is located in California’s Central Coast, and its name is inspired by the California condor, the largest flying bird in North America. The condor once called the Central Coast its home, but sadly the bird is now endangered. A portion of proceeds from the sale of 10SPAN wines benefit the Ventana Wildlife Society and its mission of conserving native wildlife and their habitat, including the reintroduction of the California condor back into the wild. 10SPAN produces a Pinot Gris, Pinot Noir and Chardonnay that are all reasonably priced, so supporting a cause doesn’t have to come with a high price. 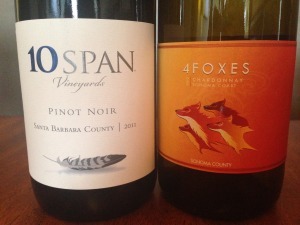 4 Foxes: All of the proceeds from 4 Foxes Chardonnay go to support Parkinson’s Research. The wine is a partnership between the president of Jackson Wines and the Michael J. Fox Foundation, the world’s largest non-profit funder of Parkinson’s research. It is produced by the Tigner Vineyards, a Sonoma Coast winemaker that has been in the business for more than 30 years. This season, don’t just raise a toast to another year gone by; make a difference for years to come by purchasing one of these wines! 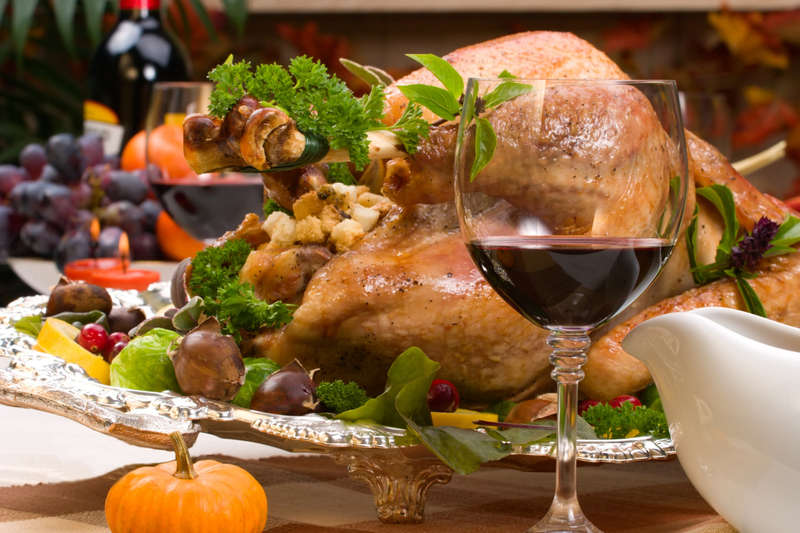 And if you need a hand selecting wine holiday get-togethers or gift giving, Double Decanted can help you get both wrapped up so you can enjoy the season. Contact Kelly Prohl at Kelly@DoubleDecanted.com for assistance.